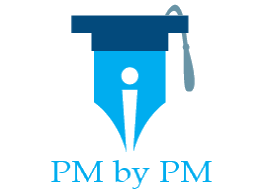 / Which PMP Certification Material Is Helpful In Passing The Exam? Good PMP certification material is instrumental in for passing the exam. In this post a newly certified PMP has shared what exam prep material he used for studying and passing the exam. He also recommends a few sure-shot techniques to tackle the exam questions. Wayne Hills recently passed the exam and shared his experience on Linkedin. I requested him to republish his experience on this blog and he readily agreed. I wish him good luck for his future. Next words are from Wayne. Passed PMP on Mar 16th… Heck to the Yeah! Finally Passed the PMP exam on Fri., 3/16. Praise God, called him multiple times during the exam for his guidance. Study plan started summer 2017 but finally got serious in Oct 2017. Study material included PMBOK 5, Rita, Head First, Aileen Ellis 3 books (EVM, CPM, and Contract) plus PMP Exam Simplified, Joseph Phillips Udemy course, and Tony Karim materials. The exam was brutal, very tricky, very mentally draining, and vague in its approach to asking situational questions in a way that forces you to think about where you are. The exam included many change requests and non-direct ITTO questions, maybe 3-4 EVM CPI, SPI related questions that asked you to interpret the results (no EVM calculations), 1 simple CPM question, lots of what the PM should do, and what should you do next type questions. Recommend, practicing lots of practice questions and mock exams to build stamina. Analyze both right and wrong answers and understanding the interrelationships of the ITTOs is key. During mock exams, practice knowing where you are in “all” of the processes, PGs and KAs. I tested over 5,000 questions (min 100Qs per day since Oct 2017). Huge thanks and support to my wife, daughter, and son for absentee husband and dad. Biggest take away, take a quick look at the answer choices, if not to wordy, then read the question while looking for keywords that tells you where you are. This can help eliminate many wrong answers in route to selecting the “best answer”. Be sure to use the highlight feature in the question for keywords and the strike feature for answer choices. This saves plenty of mental anguish and energy when reviewing marked questions. Wayne used lot of PMP certification material for his studies. Which study material are you using? Do you have any suggestions on the exam prep material?